We have the experience to handle your personal injury lawsuit if you were injured on a motorcycle and the cause of the accident was the negligent act of someone else. A lawsuit based on a negligent act requires the skill and dedication of an experienced attorney with a track record of success in the courts of Alabama. Call us today to inquire about our successes. The Doyle Law Firm has represented individuals across the State of Alabama in serious personal injury cases, including wrongful death actions, in a variety of civil lawsuits - asbestos, dangerous drugs, car wrecks, motorcycle accidents, negligence, trucking accidents, and toxic exposure to chemicals. We have a track record of success. If a loved one was seriously injured due to the negligence of another (or a company), we may be able to help. Call us today for a consultation. Motorcycle accident injuries are often severe. They require experienced litigators to effectively deal with the bias that motorcyclists and their passengers often encounter from law enforcement officers investigating the accident, insurance adjusters, and juries. At the offices of Doyle Law Firm, a motorcycle injury lawyer will aggressively defend your rights as a motorcyclist and will seek compensation for your injuries. Motorcycle accident victims and their families from throughout the southeast turn to our firm because they trust in our experience, skill, knowledge, and record of success in motorcycle accident lawsuits. We understand the challenges that motorcycle accident victims face, and we know how to get them every cent of the compensation that they deserve. Motorcycle injury lawyer Jimmy Doyle is a motorcycle accident attorney who has collected hundreds of thousands of dollars for injured motorcyclists and their families. As a motorcyclist previously injured in a crash, Jimmy knows from personal experience what injured motorcyclists can go through, and he will work hard to see that you get the help you need after a collision. Motorcycle accidents are common. Riding a motorcycle poses serious risks, as motorcycles lack the physical protection cars offer. Motorcyclists are more susceptible to serious injury posed by other drivers, defective roadway design, harsh weather conditions, and defective motorcycle products. Victims may sustain broken limbs, road rash, traumatic brain injury, and other harm, including wrongful death. In fact, in 2000 alone, 2,862 motorcyclists were killed, and another 58,000 were injured. When motorcyclists do survive their crashes, they may face large medical bills, job loss, permanent disability, and other hardships. Jimmy Doyle, one of the Southeast's premier motorcycle accident lawyers, knows first-hand the hardships faced after a motorcycle accident. He can help you. 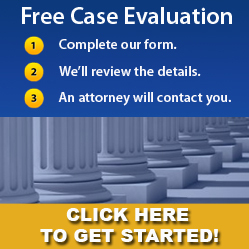 Contact the Doyle Law Firm to arrange a free case review today. In 2004, data shows that 4,008 motorcyclists were killed and an additional 76,000 were injured in motorcycle accidents. Motorcycle occupants are about 32 times more likely than passenger car occupants to die in a motor vehicle accident and 6 times more likely to be seriously injured. With their exceptional training and experience, the motorcycle injury lawyers at the Doyle Law Firm are renowned throughout the Southeastern United States for their successful handling of motorcycle accident cases. Our team of committed motorcycle accident attorneys can assist you throughout your case by providing sound legal counsel and aggressive, thorough representation. 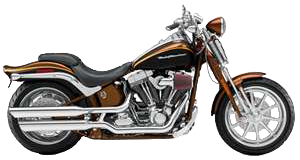 Motorcycle accidents bring into play specific insurance and state laws and regulations. The motorcycle injury lawyers of the Doyle Law Firm are dinguished by their intimate knowledge of the motorcycle laws of each state in the southeast. We regularly mediate between motorcycle accident victims and large, powerful insurance companies. We will attempt to prove liability and will make sure you receive proper medical care. The attorneys at the Doyle Law Firm will help you fight for full compensation. The Doyle Law Firm attorneys are personal injury trial lawyers. Our experience and understanding of motorcycle injury litigation and the special problems of proof that sometimes arise can represent a significant advantage in the resolution of your motorcycle injury claim. Filing a lawsuit can help you recover the appropriate compensation for the injuries and medical care you'll need as you deal with the recovery process. Oftentimes, a motorcycle injury is serious and long term care becomes necessary. If you choose the Doyle Law Firm, PC to represent you, you can count on compassion, respect, a high degree of caring personal service. You can also count on quality legal experience and expertise in personal injury litigation. Call our Birmingham, Alabama, office today for a free consultation. Our office number is (205) 533-9500. Alabama has a two year statute of limitations on filing certain product liability and personal injury claims. It takes time to acquire medical records, employment records, and draft pleadings, so please do not delay in contacting us if you have any concern that your injury was due to the negligent act of another person or a company. In serious personal injury matters, time is of the essence.